Trailblazer Heavy Duty Folding Aluminum Camping Cot With Carry Bag | BUDK.com - Knives & Swords At The Lowest Prices! 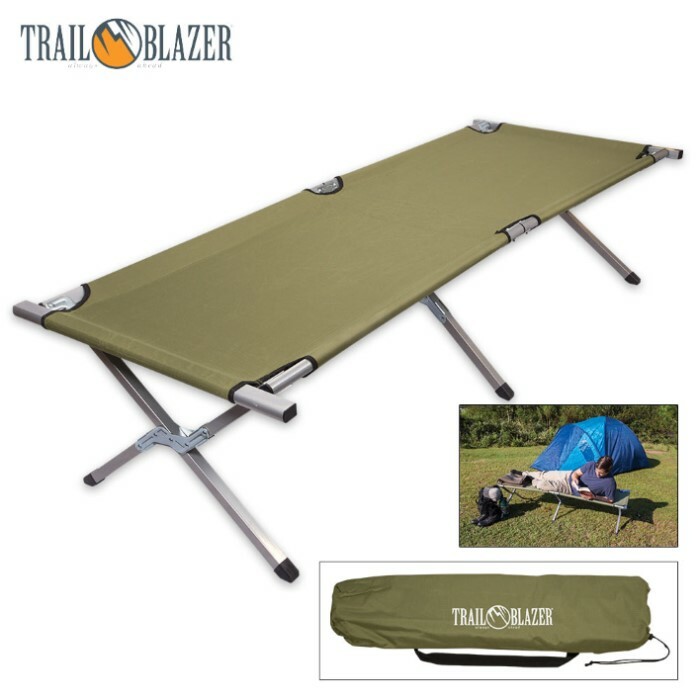 Are you tired of sleeping on the ground? 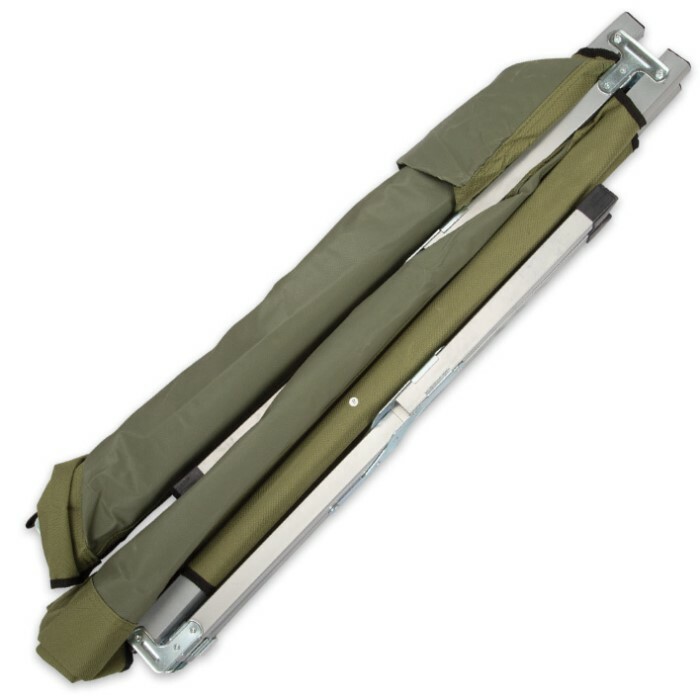 This GI-style Heavy Duty Folding Aluminum cot is the real deal! 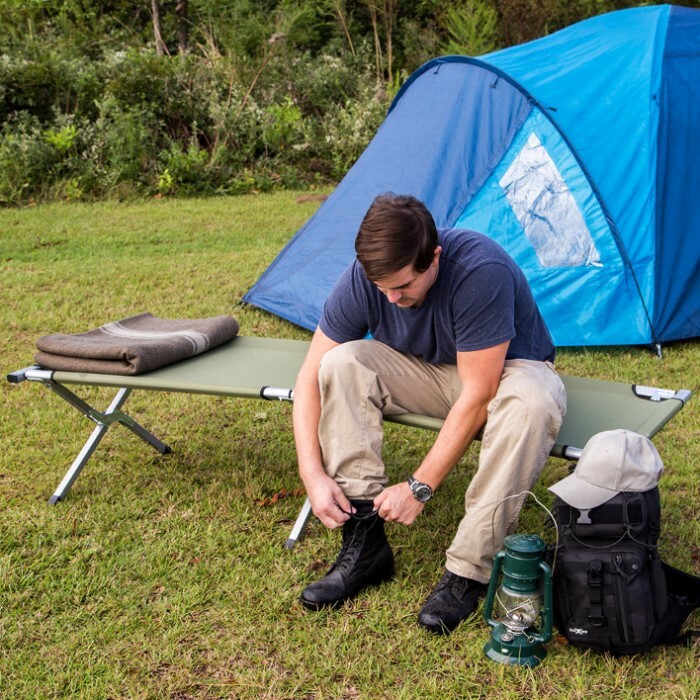 Made to withstand tough use, its heavy duty aluminum and nylon construction effortlessly accommodates up to 300 lbs. I searched the internet for a sturdy but lightweight cot that stood more than a couple inches from the ground. This was what I found and I have been very pleased. It is easy to assemble as well and weighs less than 12 pounds.